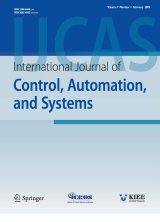 Abstract : "This paper puts forward a novel stability criterion of all cases of the time-delay fractional-order financial systems(FFS) including FFS without time delay, FFS with constant time delay and FFS with time-varying delay. This novel stability criterion is mainly based on a new stability judgment method which contains the deduction of Wirtinger inequality, Integral mean value theorem, fractional-order Lyapunov method, and a new functional transformation lemma which we deduced. This new functional transformation lemma simplifies the structure of the novel stability criterion with fewer constraints. Thus, compared with the previous stability criterion of FFS, the novel stability criterion of FFS has clearer structure and lower conservatism. Moreover, the novel stability criterion of FFS can also satisfy all fractional-order operators from 0 to 1. Last but not least, some numerical simulation examples are provided to verify the effectiveness and the benefit of the proposed novel stability criterion of FFS." Keyword : Financial system, stability analysis, stability criterion, time-varying delay.